International Best Seller of Meals that Heal Julie Daniluk is BACK on Exploring Mind and Body! Julie’s got a brand new book, and we couldn’t be more excited to have her back on the show. 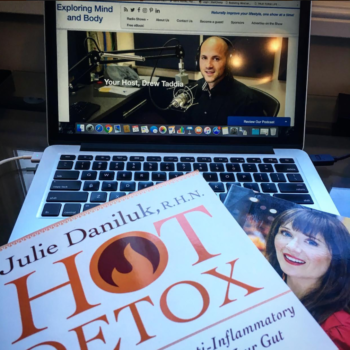 Join Drew Taddia this week to hear Julie talk about how to Naturally, Holistically and Safely put your body through a 21 day cleanse with her Hot Detox sensation! With seemingly endless recipes that are anti-inflammatory AND gut healing you’ll want to personally thank Julie for all the work she’s done to put this together for us.